Revash mausoleum is located on a rocky shelf over a deep canyon at an altitude of 2,800m. Revash's funeral mansions are almost intact. The mummies that used to be located inside were destroyed by looters. The town of Leymebamba where the magnificent Museo de Leymebamba is located. Mummies from the Chachapoyas culture from about 800 AD are displayed at the Museum of Leymebamba. The Leymebamba Museum was built by the Austrians and inaugurated in 2000, specifically to house 200 or so mummies and their burial offerings. 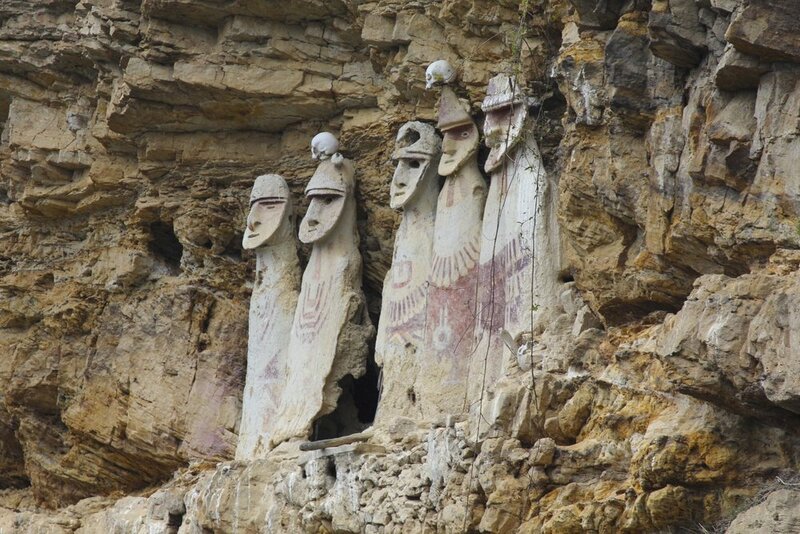 The mummies were recovered during a 1997 excavation of Llaqtacocha, a Chachapoya settlement on the banks of Laguna de los Cóndores, a lake about 50 miles south of Chachapoyas. Mummies at the Museum of Leymebamba. 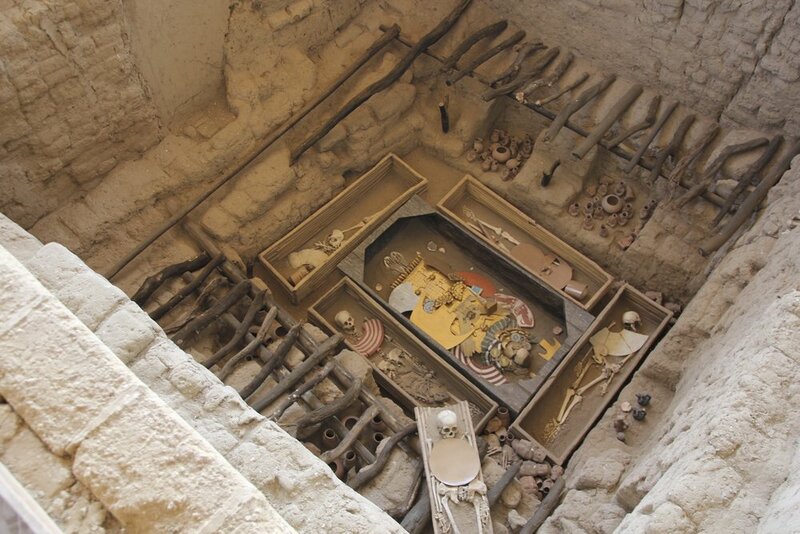 The archaeologists recovered the mummies from Laguna de los Cóndores, protecting them from further accidental damage and the grave robbers. 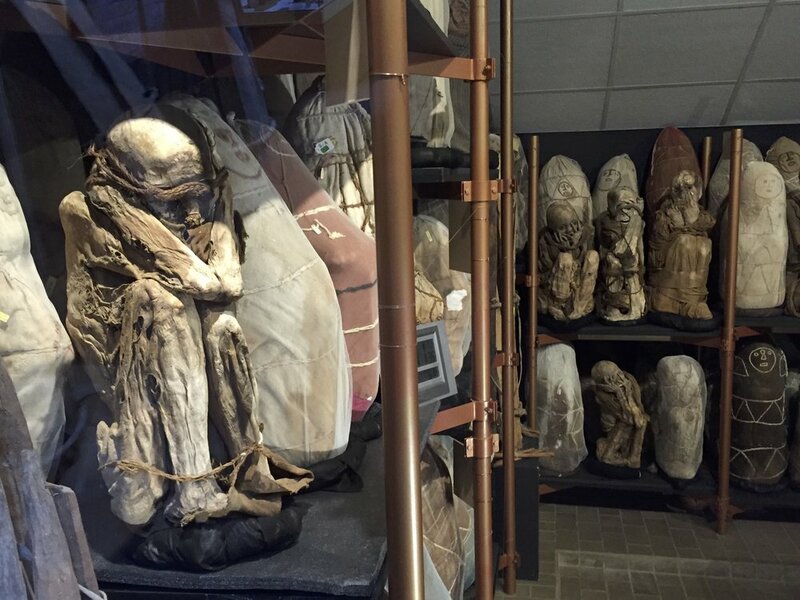 Mummies at the Museum of Leymebamba in a climate controlled room. Mummies at the Museum of Leymebamba. Kuelap - a pre Inca Fortress in the Andes. 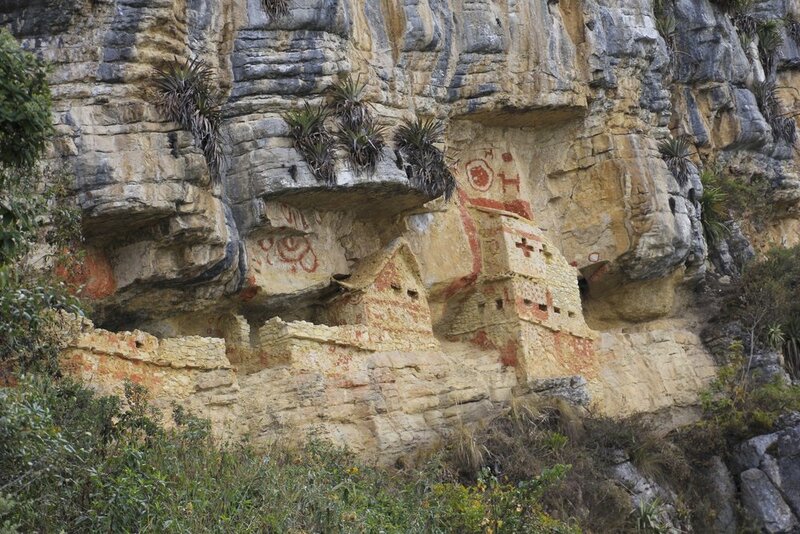 Built by the Chachapoyas, the fortified citadel of Kuelap was home to the Warriors of the Cloud. Kuelap is one of the largest ancient stone monuments in South America. Mysterious Kuelap. 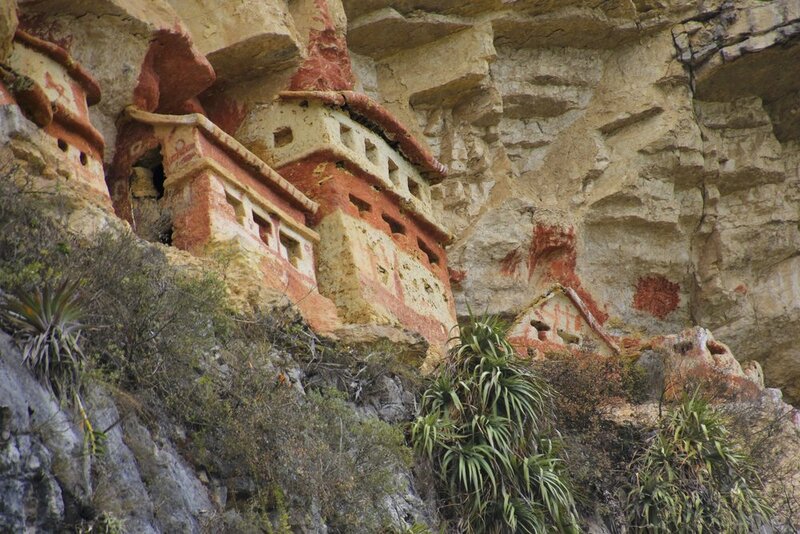 Kuelap was built around the sixth century A.D., and continued to be in use until the 16 th century A.D.
Kuelap - the Chachapoyas were conquered by the Incas sometime in the second half of the 15th century. Kuelap fortress was left alone by the Incas, and the Chachapoyas continued to live there until the arrival of the Spanish in the 16th century when the Chachapoyan civilization collapsed. The view from the Fortress of Kuelap. 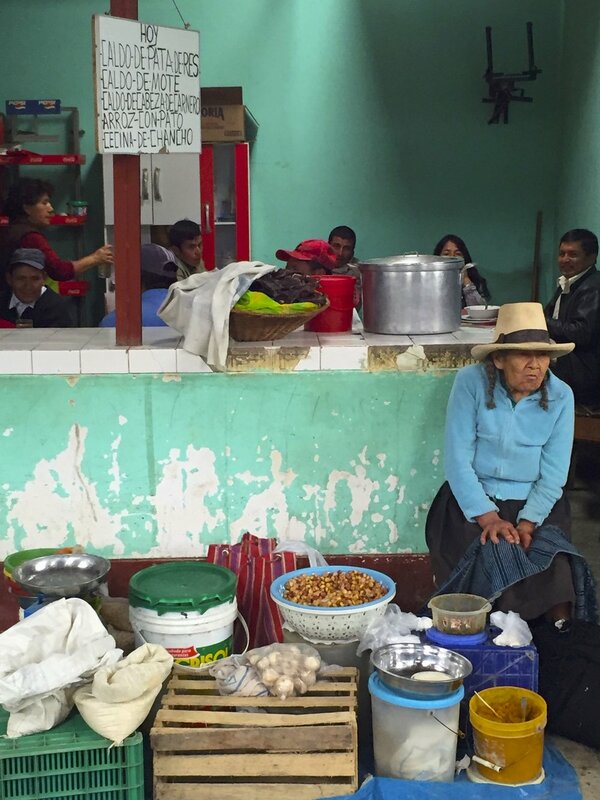 Sarcofagos de Karajia highlights the coffins of the Chachapoyas culture. Found in in a ravine, the sarcophagi sit in the Amazonian Luya district. Constructed of clay, sticks and grasses, with exaggerated jawlines. 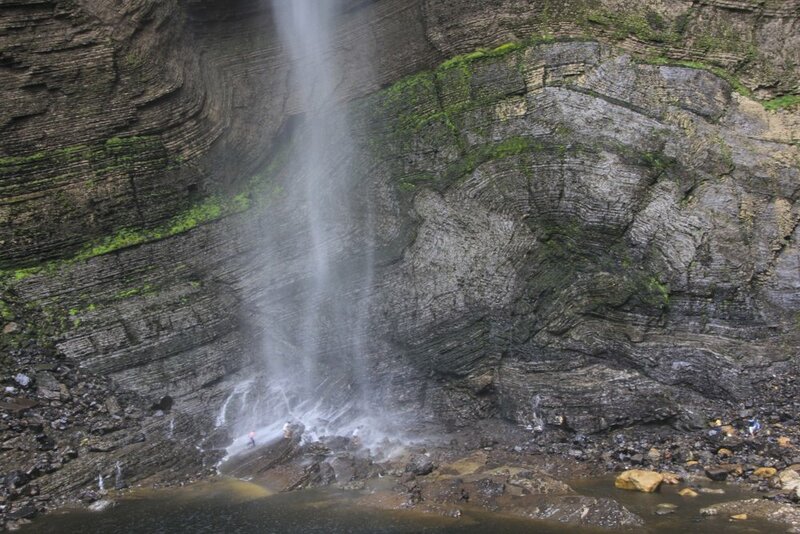 Their inaccessible location high above a river gorge has preserved them from destruction by looters. 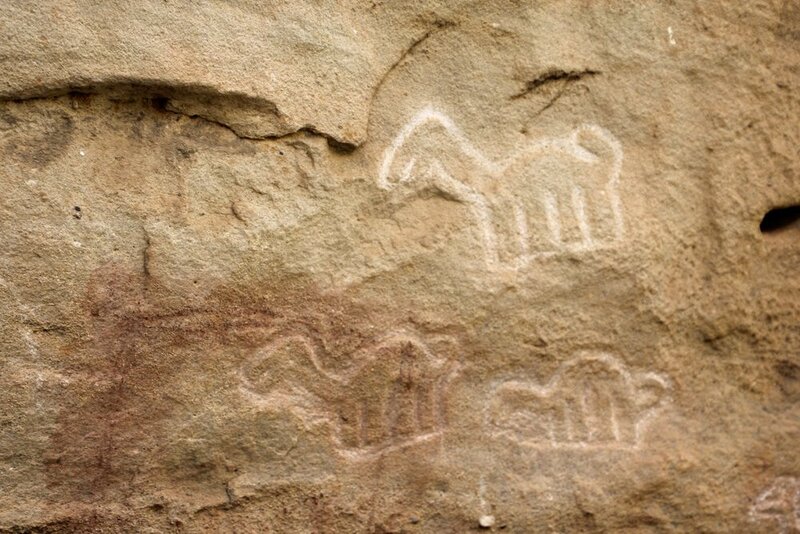 Rock art from the Bronze Age at the Pitaya petroglyphs near Chachapoyas. The Archeological site of the Royal Tombs of Sipan. A Moche culture of pre Inca northern Peru. 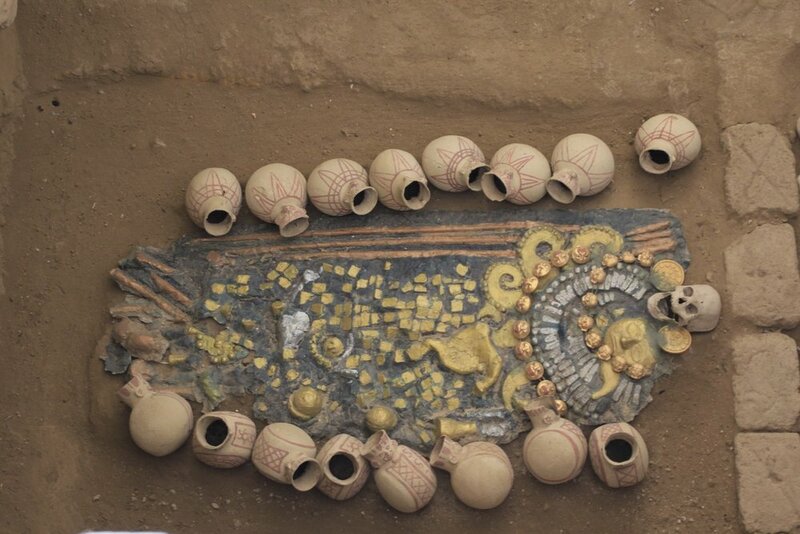 The gold found on this site was the largest gold find in all of Americas. It filled up 3 museums.